The aim of the project is to protect research and development based intellectual property and to register the industrial design patent. The project will provide support for acquisition of fixed material assets and personnel costs with the goal of expanding regional entrepreneurship and the number of exporters. 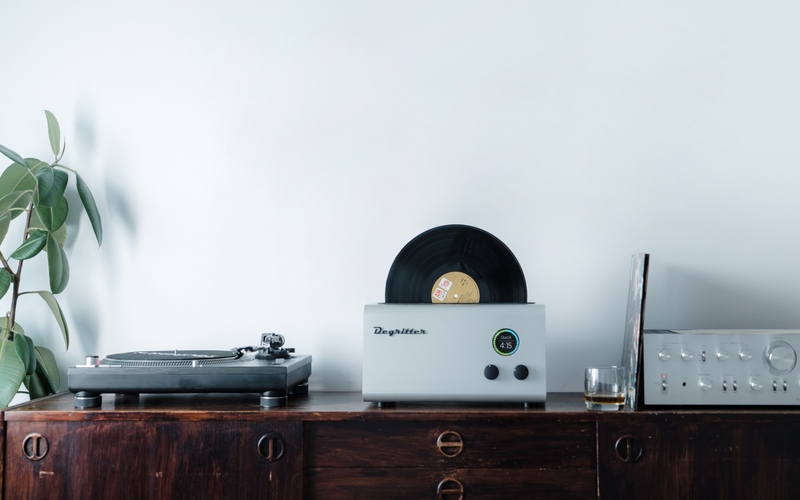 Degritter washes your records in an ultrasonic cleaning basin and even dries them afterwards. Your records will be spotless and ready for listening. The core of Degritter is the 120kHz ultrasonic cleaning system. It has been carefully designed in house to make sure that records are cleaned thoroughly and without any damage to the surface of the record. Ultrasonic cleaning works by creating a large number of microscopical bubbles in the cleaning bath, a phenomena called cavitation. The bubbles are a vacuum created by high frequency pressure waves moving through the water. Every ultrasonic cycle bubbles are formed and collapsed, releasing energy as heat and minuscule strong water jets. These effects combined thoroughly clean all surfaces down to a microscopic level. A 120kHz frequency provides finer and more evenly distributed cleaning action than lower frequency systems. In fact, this technology at even higher frequencies is used to clean parts in the semiconductor industry, where surfaces need to be pure on a molecular level. 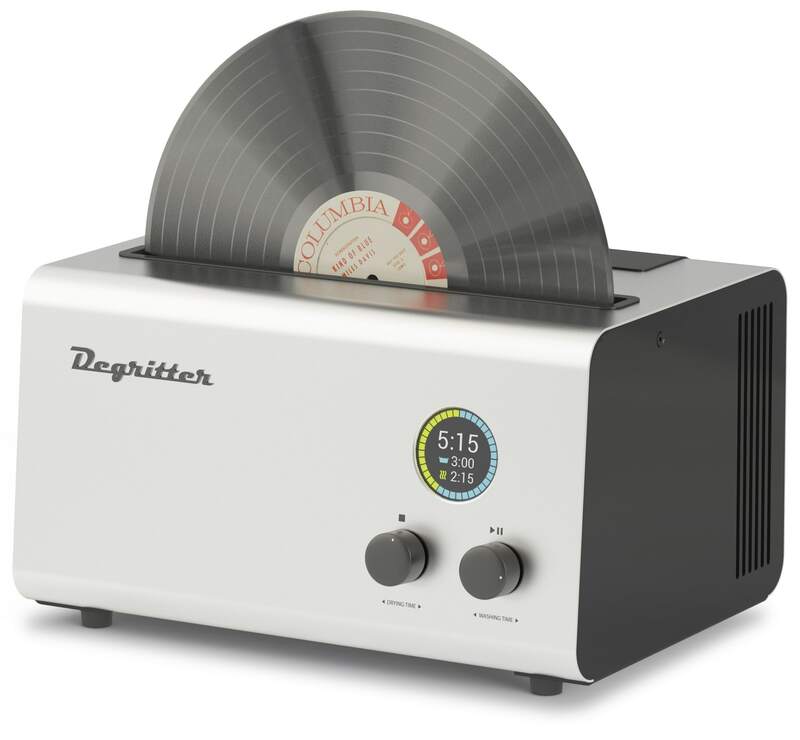 Degritter uses a custom ultrasonic bath with a custom 340W ultrasonic amplifier that has been designed specifically for cleaning vinyl records. The cleaning bath has four ultrasonic transducers (emitters), two on both sides covering the whole record. Degritter also comes with Frequency Sweep feature, which provides better cavitation energy and power distribution. Degritter is the only cleaning solution on the market working at 120kHz and having the Frequency Sweep feature. 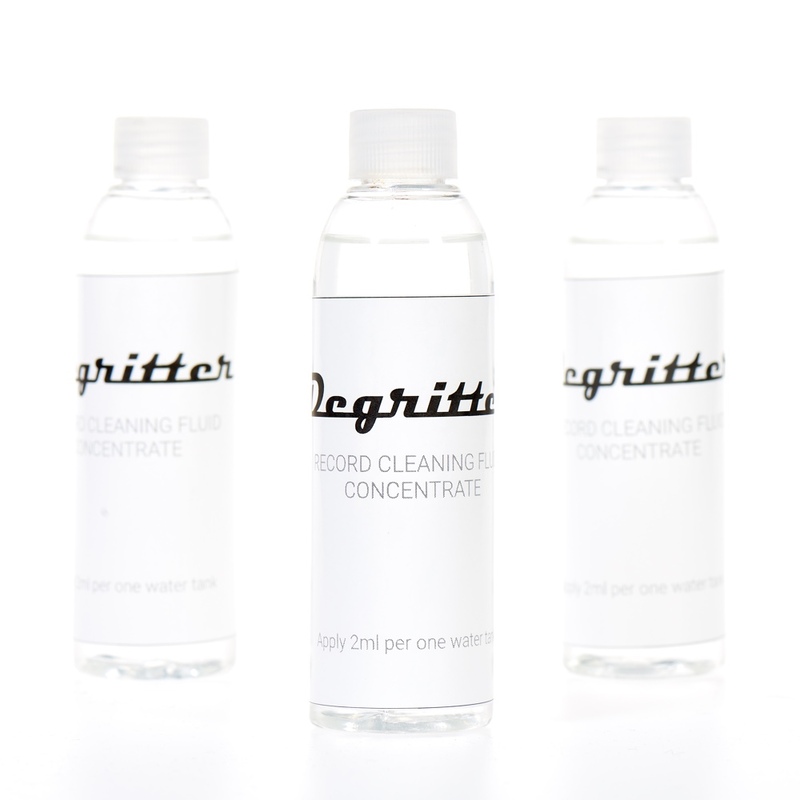 Degritter record cleaning machines come with an active filtering solution. 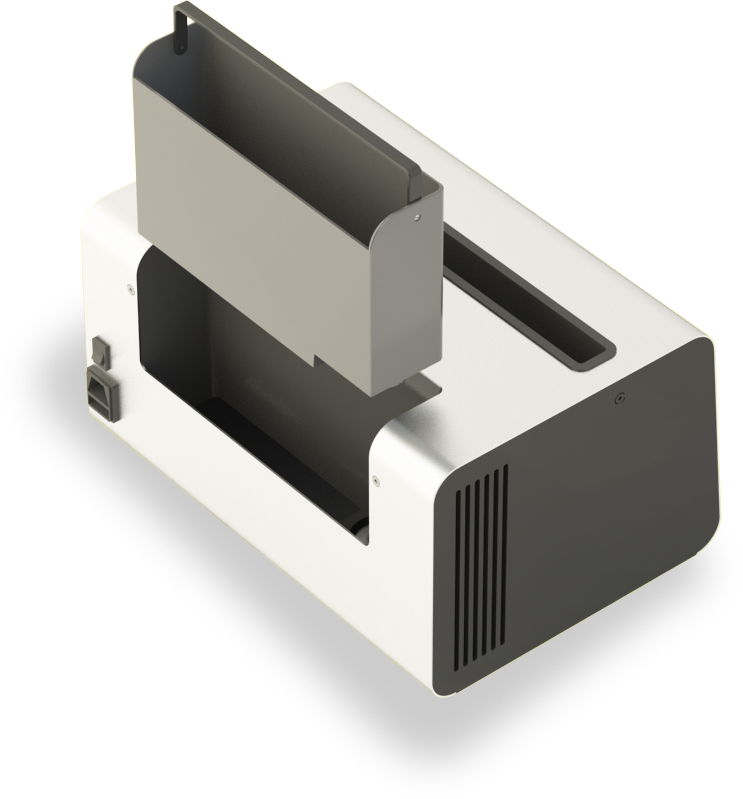 Active means that it removes small particles and dirt from the water during the ultrasonic cleaning process. Dirt washed off the record is filtered out of the ultrasonic cleaning bath and it won’t end up back on the record. 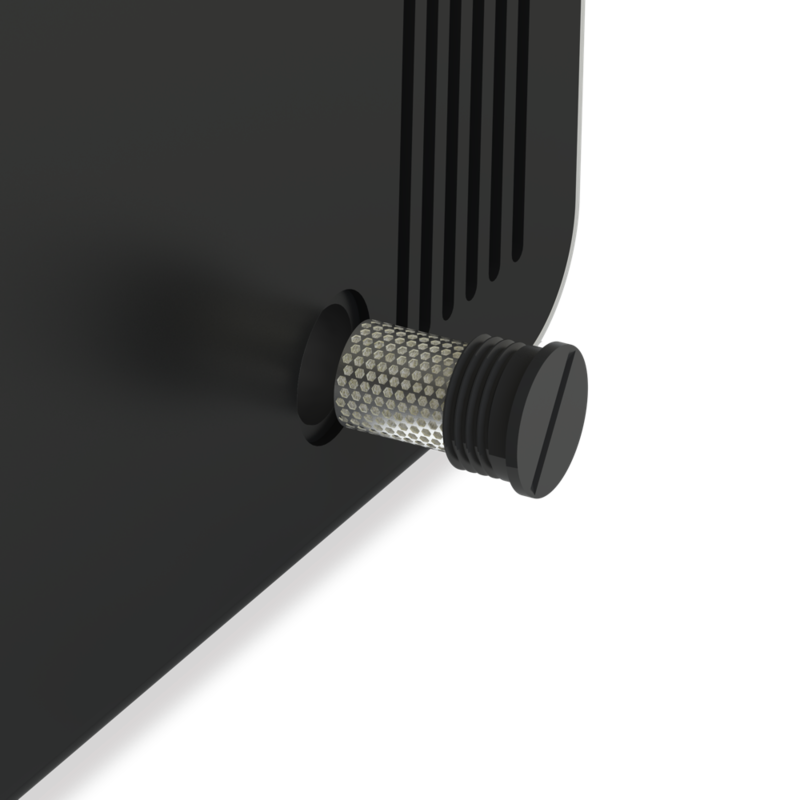 The active filtering solution works by circulating water through the filter and then back into the bath while your record is being cleaned. Water is pulled into the filter from the top of the tank in order to remove all floating dust and particles. Heavy particles that settle at the bottom will be pumped out to the external water tank, which has a dedicated sediment section. The filter is easily accessible from the side of the machine. It is made up of a cylindrical steel mesh which contains a replaceable open cell foam filter. The outer part of the filter is washable, which makes for easy maintenance and upkeep. The drying cycle with blower fans is the loudest part in all the Degritter programs. We’ve built two options for our users, depending on whether you need to save time or keep it quiet. Quiet: drying fans are working on reduced power. 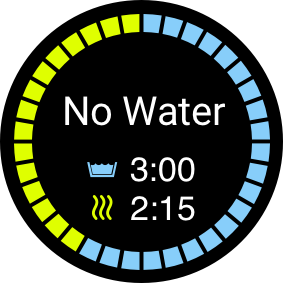 This means that the drying process will take longer, but produces less noise. 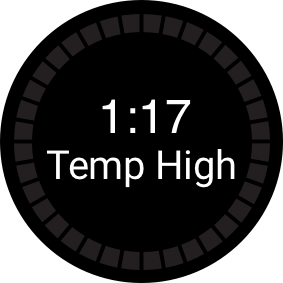 Quick: drying fans are working on maximum power. 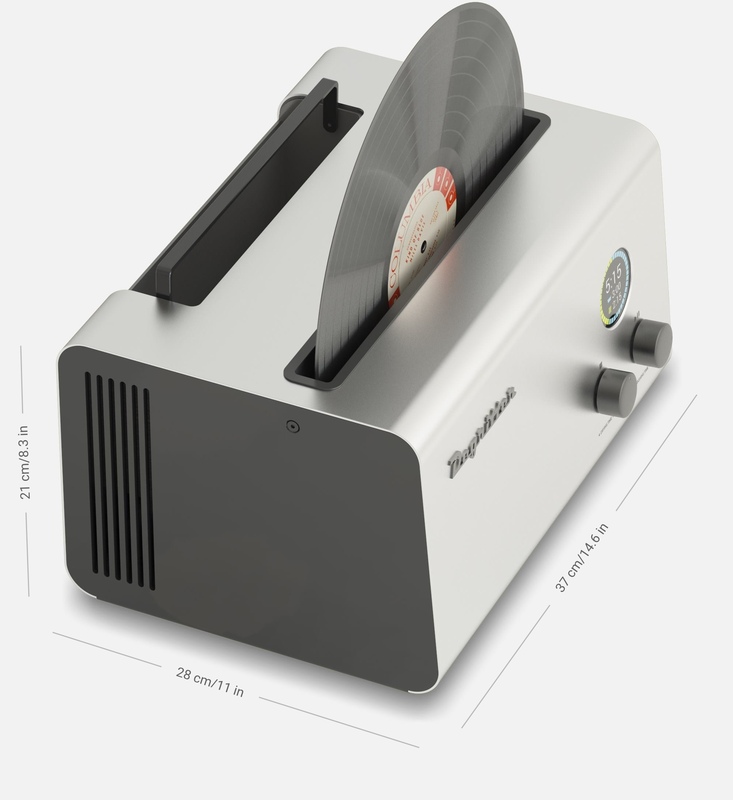 This will dry your record in 2 min, but you will hear it working. At the heart of our user experience is the control board that is connected to all the sensors, actuators and the LCD. To make sure that the machines that have already been shipped out to their new owners are running on the latest software, we’ve added an SD card slot that allows the user to update its software. 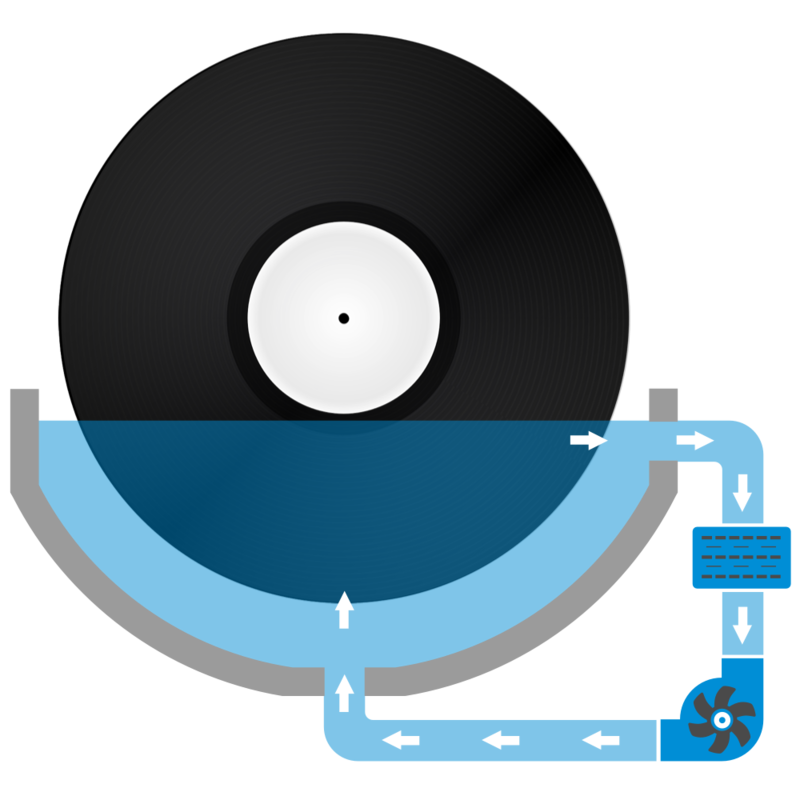 While the Degritter is designed to clean 12″ records by default, it’s possible to clean 7″ and 10″ records as well. For this we’ve created a set of adapters that can be attached to smaller records to convert their diameter to 12” and clean them just the same. Degritter is equipped with multiple sensors to constantly monitor the state of the machine. This way the machine is able to detect and safely recover from any unexpected use cases like loss of power during the ultrasonic washing or if the water temperature rises to unsafe levels for vinyl. As an extra safety net we also have software subroutines checking the status of the sensors to prevent any unexpected failures due to sensor malfunction. Every Degritter machine comes with a batch of cleaning fluid concentrate. It’s not necessarily mandatory to use it, but it does have certain benefits. The concentrate is made out of anionic surfactants which help remove the dirt. It’s safe to use and won’t harm the vinyl. We recommend using of 2 ml of concentrate per one water tank of 1.2 liters. This creates a solution where surface tension is lowered enough to allow ultrasonic energy to break the water more easily while anionic molecules are delicately extracting the dirt from adjacent surfaces. Degritter's cleaning effect has been thoroughly researched under digital and an electron microscope. We are confident in its quality, but have a look at the comparisons below to see for yourself. The before images are of a brand new record that has been exposed to nicotine smoke, covered with fine grain graphite dust, and soaked in beer. Because of electrical conductivity the graphite particles are more clearly visible while beer is not that noticeable. In reality, of course, dried beer creates a sticky film on the surface that keeps all the dust firmly in place. The after images are of the same record once it has been through a 5-minute cleaning cycle with Degritter. No detergents or solutions were used, just pure distilled water at room temperature. It is evident that already one cleaning cycle has effectively cleaned the vinyl, leaving only a few specs of dust. Running the program twice would have left the record absolutely pristine.